Furnace Repair Denver-Replacing Your Furnace! Newer furnaces are AFUE two-stage closed-combustion gas-fired units. Today’s highest efficiency units now have an AFUE of 96.6 percent. By replacing your old furnace you will get increased efficiency and reliability. The cost of a new unit will pay for itself over a couple of years from the savings you’ll save on lower monthly heating bills. Your house will be heated more evenly and more thoroughly. If your furnace is 20 years old or more it just may be time to replace it with a more energy efficient model! 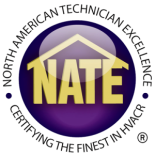 Call us today about furnace repair Denver!